As you’ll know from last issue’s editorial, Pete Kelly has slid across to the lofty heights of the editorial high chair of Railway Modeller Magazine, allowing me to perch myself in the still-warm and comfy OBM editor’s armchair, settling happily into the re-stuffed cushions and ignoring the threadbare arms and bits of horsehair hanging beneath. As Pete mentioned at the time, he’ll still be showing his face around these parts in the future. 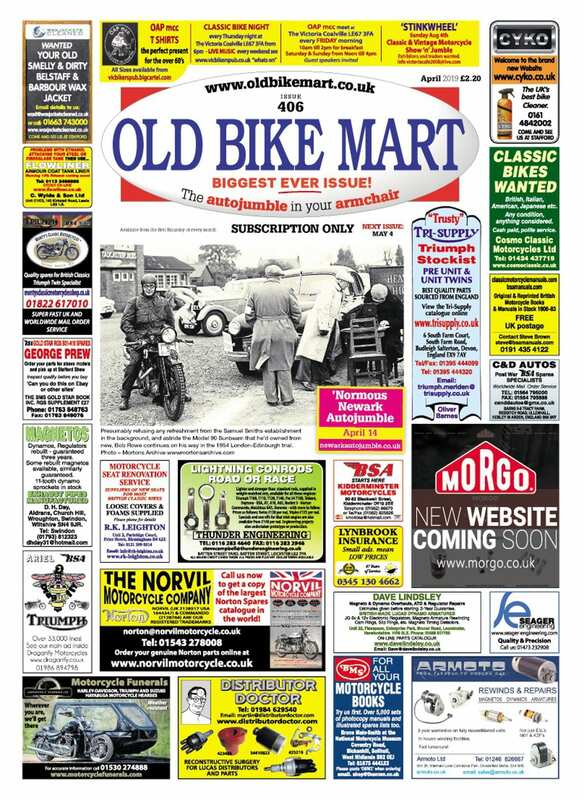 Indeed, he’s prepared a fascinating article on the use of sidecars as commercial vehicles on page 36 of this issue, and his expertise, passion and knowledge of the classic motorcycle world will continue to play a large part in Old Bike Mart’s future. Pete kindly introduced me to you last month, and you’ll have read various features I’ve written over the previous few issues, but you won’t really know who, or what, I am. 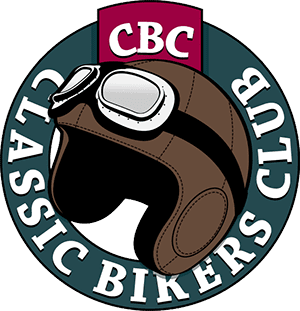 Well, aside from the self-admittance of being a motorcycle anorak who’ll happily talk about motorcycles day-in, day-out, I’ll be the first to admit that I don’t have the same level of experience of classic motorcycles as Pete or, for that matter, you lot. But, as I like to treat every day as a school day, I’m the pupil and you’re the tutors, and I’m looking forward to expanding my metrically-focussed toolkit (and mind) into the imperial realm. Having spent a childhood in the Isle of Man in the Seventies, I grew up around big Japanese bikes, Italian classics, and Brit iron like Bonnevilles, Tridents and Commandos, but as you’d expect from a pre-teen who was a boy scout and therefore involved with the timing boards at the grandstand, the soundtrack to my childhood was one of race bikes, although they weren’t predominantly two stroke Yamahas, despite their popularity on the island in the late-Seventies. 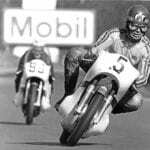 Remember Hailwood’s Ducati win in ’78? I was there, albeit tucked away behind the scoreboards, running back and forth with painted timing boards. 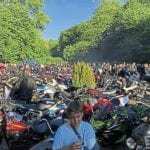 Much like any other schoolboy of that age and in that scenario, being in and around bikes took its toll, in that I became fascinated with anything with an engine and two wheels – absolutely anything. 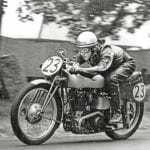 And that included all the older machinery that I saw being used around the island during TT and Manx Grand Prix events, and in hill climbs and other events. Much to my chagrin, the family moved away from the island in my early teens, although my appetite for motorcycle magazines and literature was fuelled by as many paper rounds and gardening jobs as I could fit in around school, keeping the fire burning until I was in full-time employment with British Coal and gained the financial ability to actually get myself on to two wheels. Nine years later and the collapse of the coal industry meant I was made redundant, and after a year’s labouring and riding a Greyhound bus around America, I somehow managed to finagle my way into a job in the motorcycle media. And, 20 years further on, here I am, editor of a fascinating magazine that I first picked up at an autojumble in Buxton Pavillion Gardens in the late-Eighties! Over the last month, we’ve received many emails and letters wishing Pete well, and thanking him for his time on Old Bike Mart. I’d like to add my thanks to that, and to also thank the previous editors for making OBM into what it is today. 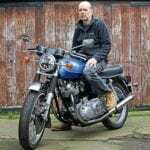 I’ll also point out things aren’t going to change – if it ain’t broke, don’t fix it – and as Pete mentioned last month in his sign-off Prattle, Ken Hallworth’s vision of 33 years ago will remain, keeping us focussed on the world of classic motorcycles and bikejumbles. Although, much like any classic machine, it will take some regular maintenance! 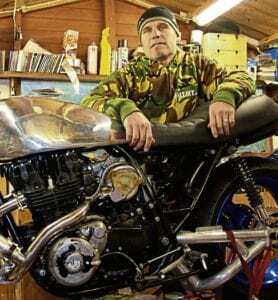 Aside from being a popular and well-known figure in his community of South Woodford in London, Father Robert Edward Hampson was also an avid motorbike collector and rider, and his collection of 12 classic motorcycles goes under the hammer at H&H Auctions at the National Motorcycle Museum on November 9. 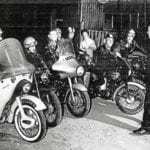 Along with a 1951 Vincent Black Shadow – a very impressive form of transport for a vicar – that was rebuilt in 2011 at great cost, the collection includes seven Sunbeams built between 1921 and ’38, including the only known example of a Model A26 from ’38 known to be on the road today, a Royal Enfield vee twin Model 180, a sidevalve Sloper BSA, an overhead valve Raleigh and a WLA Harley from 1947. As you’ll know from the number on the front cover, this is issue 400, and it’s a bumper-sized edition. Aside from being slipped through subscribers’ letterboxes in early October, it will also be bagged with the November issue of Classic Motorcycle Mechanics, and those of you reading via the bagged copies may not realise that OBM is a subscription-only title, and that you can’t buy it in the newsagent’s or supermarket, so have a look at the astounding Old Bike Mart subscription deals on page 63. In the meantime, enjoy this issue, and I look forward to hearing from you, or meeting you at shows, rallies, club meetings and events in the coming months.